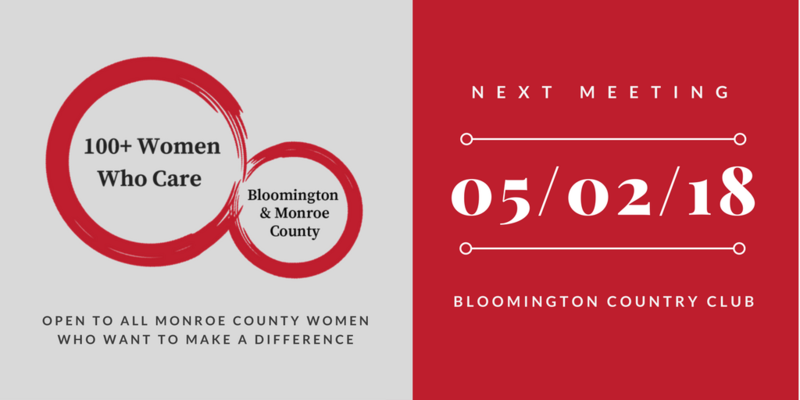 The next quarterly meeting of 100+ Women Who Care will be May 2 at the Bloomington Country Club, 3000 S. Rogers St. This group of local women pools money each quarter to support local not-for-profit organizations. Guests are welcome, and new members may join at any of the quarterly meetings. Registration and socializing opens at 5 p.m.; the meeting will start promptly at 6 p.m. and end at 7 p.m.